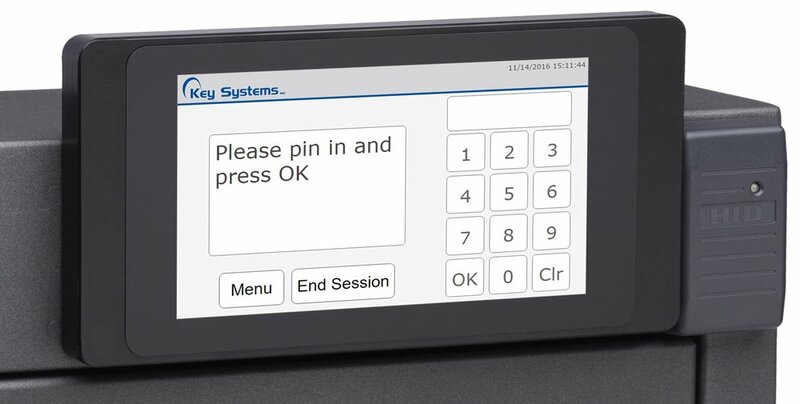 Custom Designs — Key Systems, Inc.
All of our products can be designed around your needs. Custom lock spacing is available to accommodate large assets, key rings and multiple asset types. Request a panel drawing to choose your own custom layout for your SAM panel. Lockers can also be individualized based on your requested dimensions. Increase the capacity of a single controller with add-on cabinets and lockers. These additional units are monitored by the control unit and grant authorization from a single point of entry. 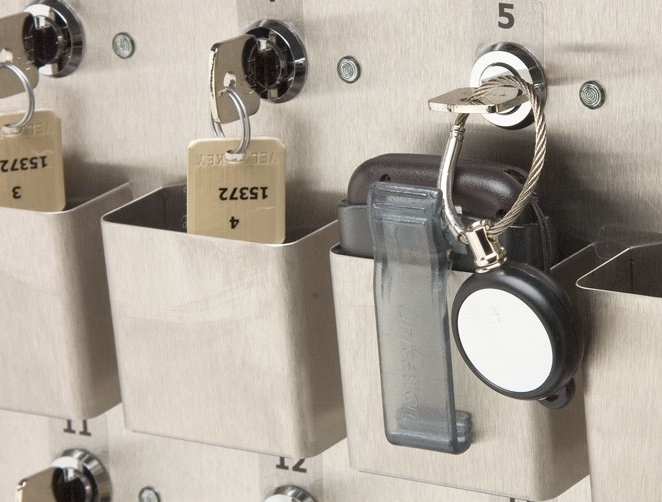 Security Asset Managers™ and Lockers come standard in a gray, powder-coated steel. An array of custom colors are available to provide you with a machine that is most desirable in function and appearance . Key and card access go hand in hand across the multiple industries that Key Systems, Inc. products serve. Our Card SAM provides controlled access, storage and reporting for the cards critical to your facilities operation. You can opt to have either internal or external cards added to your custom SAM panel if you need valuable card storage. Cards stored internally are encased in a protective plastic sleeve and latched via Tamper-Proof Key Ring®. Position key and card are physically linked together and must both be removed/returned in order to complete each transaction. Retaining cards in exterior vertical card sleeves provides electronic monitoring and physical security. A dual switch on each position ensures that card and key must be locked in place in order to register the card as returned. Each locked key position physically prevents the corresponding card from being removed. Populate your SAM with key hooks or Vel-Key rows for versatile asset storage. With SRP key hooks that accommodate virtually any style of key ring, users can store and retrieve keys quickly and easily. Our Vel-Key® products increase security and productivity through simple effective key organization. Our plastic two-sided tags leave room for labeling one side and utilize durable Velcro® on the other for mounting in any one of our key organizers. Secure small electronics such as pagers, phones, or key fobs. You may optionally select our proprietary KSI lock to populate your key storage positions. The dual sided dimple design allows for KSI Keys to be inserted upside down or right side up. Retainment by most locks including small and large format IC is also available. Lock spacing is available to accommodate large assets and key rings. Hardware is available to retain and restrict access for handcuffs and leg cuffs. The KSI Satellite™ is a multi-function access point to your network of GFMS™ software and Security Asset Managers™. Enrollment, authorization, information, and much more are no longer limited to the locations where assets are stored. This compact device expands your access to the GFMS™ network with additional functionality and additional points of interaction.